The Citizenwatch Eco-Drive Global Radio Controlled CB0027-51E is one of the bold and handsome Citizen Watches. It is really a lightweight and good looking watch. This timepiece used the simplest but the advanced power generating and storage system. The case and the bracelet of this Citizen Ecodrive Watch are made up of sophisticated and solid Stainless Steel material. This watch is made in Japan. 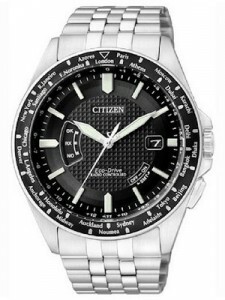 The best feature of this Citizen Mens Watch is Eco-Drive technology. The watch recharged by any light source. There is no need to change battery. The working caliber of this watch is H140. This Citizen Mens Radio Controlled has high standards in the watch Industry. The main purpose of Radio Controlled is to receive a signal that comes from the transmitter. It automatically adjusts the time on the watch the changes in the time settings are based on the information provided by an atomic clock. This Citizen Eco-Drive Watch has the smart black dial which is covered by Sapphire Glass. The dial contains some other features like Date display, Perpetual Calendar, and World Time. This Ecodrive Watch has an accurate UTC with Power Saving Function, Power Reserve Indicator and Insufficient Charge Warning Function. The water resistant of this watch is up to 200 meters. The case diameter including crown is 45mm and excluding crown is 41mm. The case thickness is 11mm. This Citizen Men’s Watch is a great watch. Look ahead and look sharp as you wear it on your wrist and enjoy a timepiece created with style and high technology. 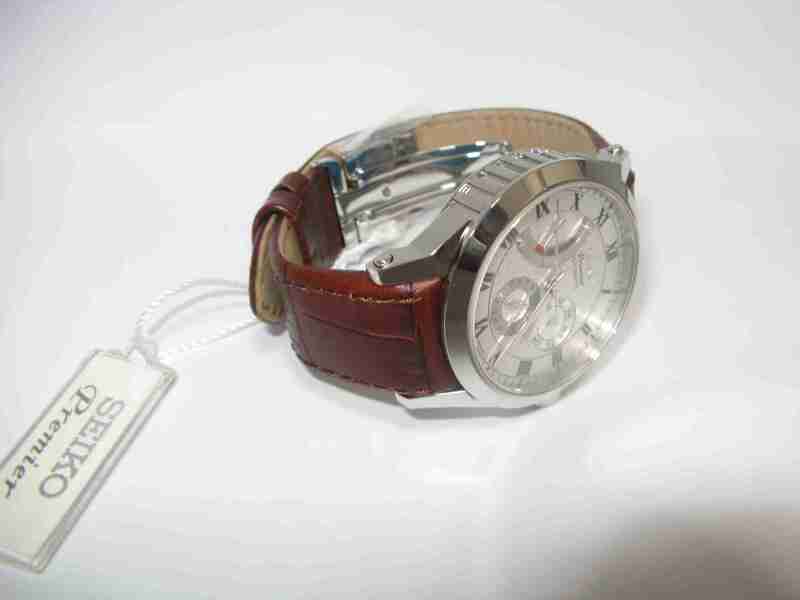 This watch is available for US $312.00 with us.